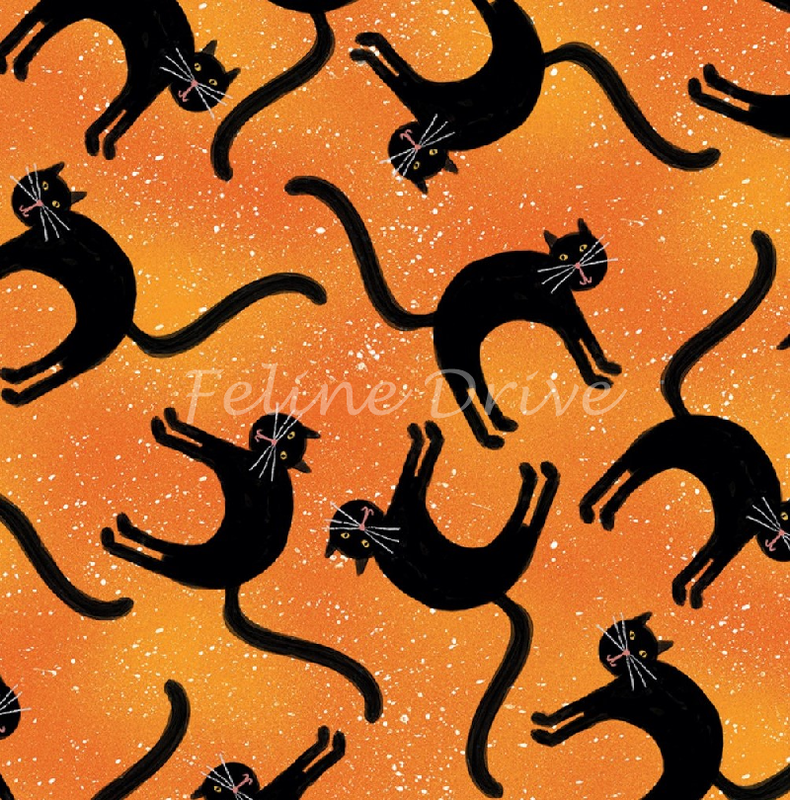 Katie Doucette brings us Spooky Vibes for Halloween with folk art-style motifs in oranges, grays & black, bright yet whimsical enough for kids’ projects. 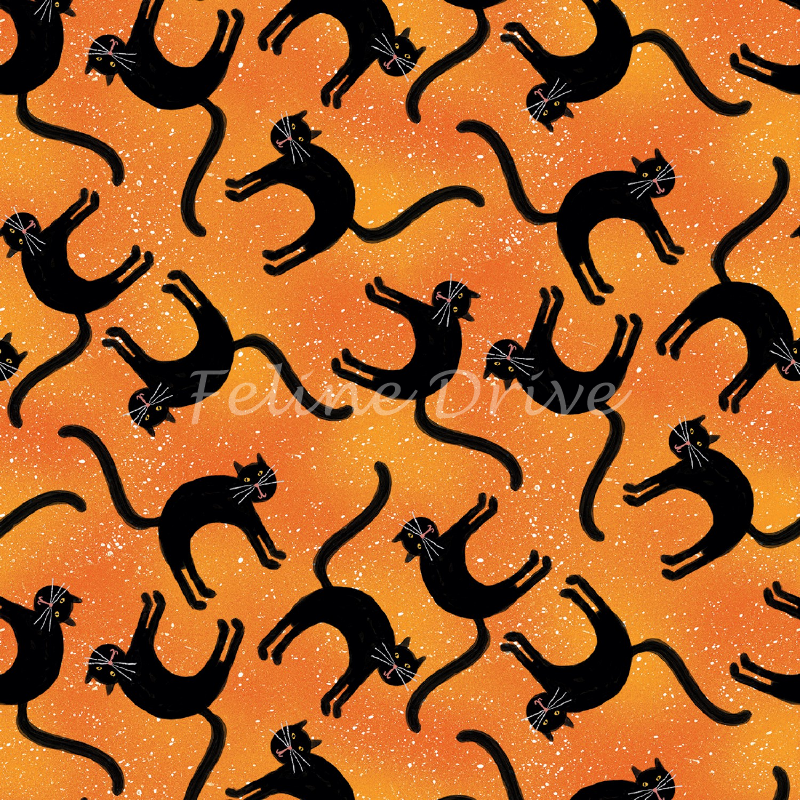 This fabric features black cats tossed on an orange background. Print Size:Cats are approximately 2" long.